Ever since Black people have been Black people in the land of mayonnaise there has been an open assault on the family unit. Drugs, poverty, slavery, violence, and mental illness are just a few of the things that has put a wedge in the Black family structure. Now, with people becoming more aware then ever, they are correcting the issues of the past that has led to the desecration of our families. There is strength in numbers and many people are pulling on our ancestral polygamous past to fortify their families. 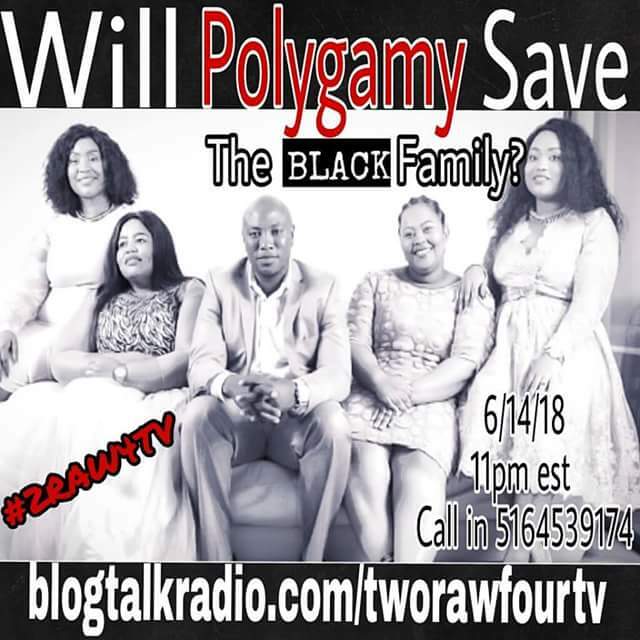 While polygamy is on the rise in the Black community there are still skeptics that find this powerful practice taboo and #dangerous. Can multiple wives help raise a child better? Is polygamy enduring? What can polygamy offer a family that your traditional #nuclear family can not? Next #2RAW4TV we will be asking these questions plus much more to successful polygamists and find the answers no one else will tell you. WILL #POLYGAMY SAVE THE BLACK FAMILY? Join us and find out for yourself!